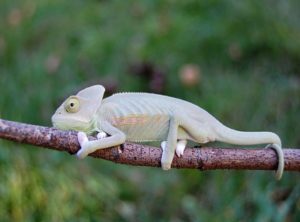 Translucent Veiled Chameleons are one of very few chameleon morphs ever offered for sale. This morph was discovered in the wild and first reproduced in Europe. We acquired the first few specimens to come into the country and were the first to successfully breed them here in the US. 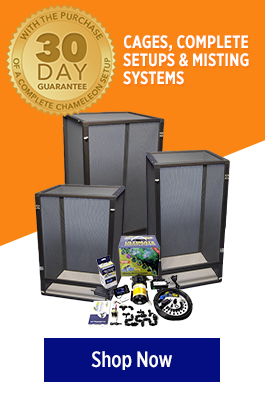 We have introduced wild bloodlines to keep the genetics strong. They have the most interesting looks with some showing very high levels of translucency, white, black and even pink coloration. 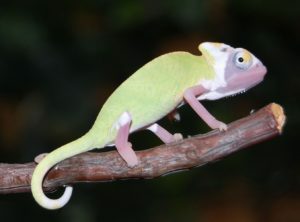 The normal colors are also very fluorescent in this veiled chameleon morph.